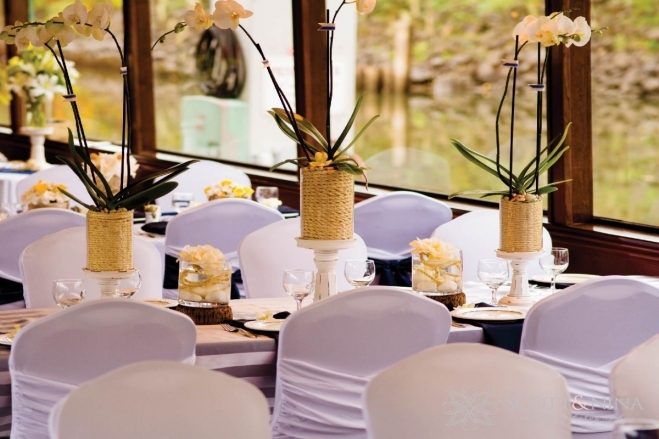 A wedding on the water evokes not only a spirit of adventure, but hosting a party aboard a vessel automatically imbues an elevated sense of style and elegance. The atmosphere of a buoyant soirée feels both fancy and fun, romantic and light-hearted. Still not convinced? No worries, we’ve rounded up 5 perfectly good reasons why saying “I do” on the water is second to none. For a lot of couples getting married with a stunning waterfront view is a must, but why get married near it, when you can get married on it? The view doesn’t get any better than that. Imagine saying your vows on the bow of a stately cruise ship, surrounded by friends, family and the glistening river. Hosting your wedding aboard a cruise ship means one stop shopping. The sales and event planning staff will work with you to handle any wedding day worries. Luxury vessels are equipped with an onboard galley and full-sized bars for all your cocktail and reception needs. Bonus: Captains can legally perform wedding ceremonies. Further simplify the weekend’s itinerary by also hosting the rehearsal dinner on the ship. The unique experience becomes a special gift for your guests. 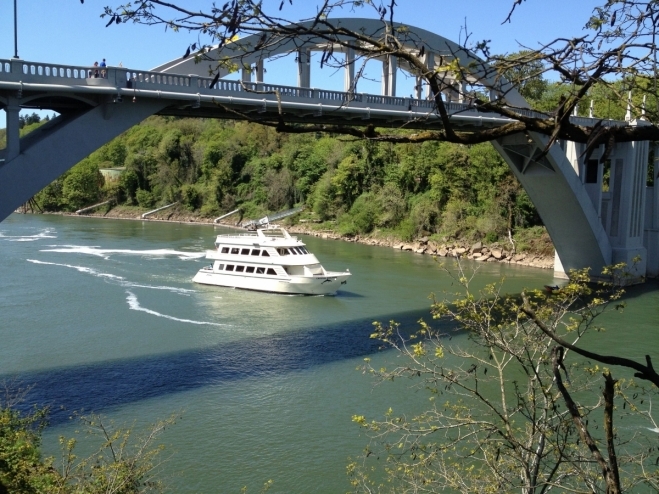 They can kick back, champagne in hand, as they cruise along the waterway chatting, dancing and enjoying the view. 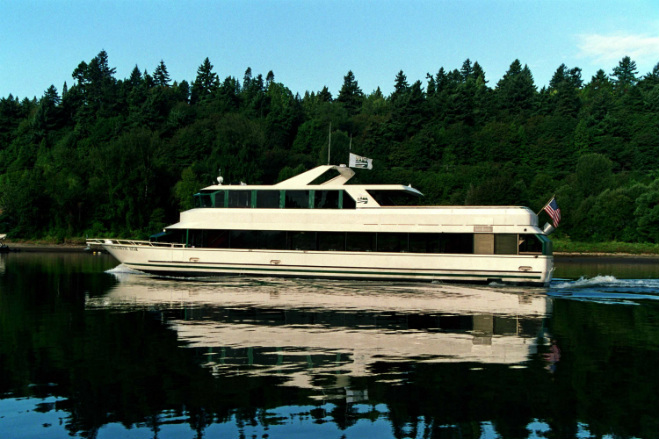 Without a doubt, a boat venue makes for an unforgettable event. Convenience is key. With everything under one roof, ceremony and reception, your guests won’t have to travel to multiple locations, and you’ll only have to create one set of directions. 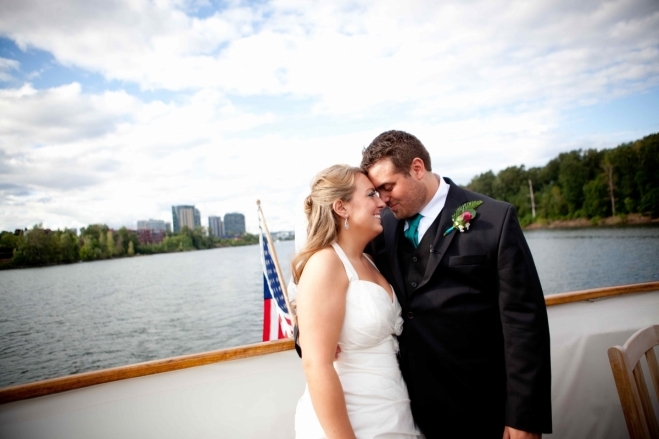 A wedding on the water is symbolic. Some love the rich romance of the sea, others appreciate the deeper spiritual symbolism of the river. Marriage, like water, has an ebb and flow; a give and take. These elements can be woven into the ceremony giving it even more depth and meaning. If you’re looking for a venue that truly sets your wedding apart, setting sail is an experience you and your guests won’t soon forget. Surrounded by the sounds of clinking champagne glasses, music and laughter, you’ll drift off into the sunset with those you love most. At Portland Spirit, one of our greatest joys is when couples who were married aboard one of our vessels come back and celebrate with us, whether it’s an anniversary dinner or another special event. Some come back year after year. Our passion is to create great and lasting memories for all of our guests. There is something truly special, need we say magical, for us to be a part of your celebration.